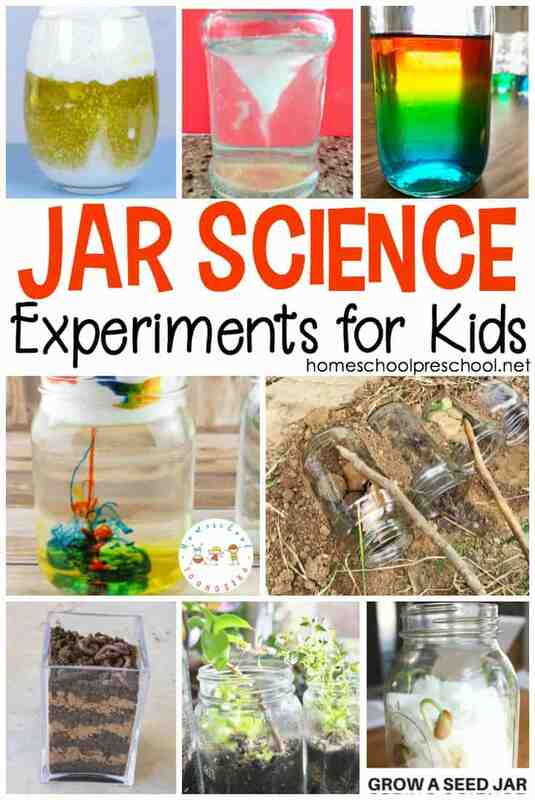 Engage your preschoolers this summer with one or more of these jar science experiments! 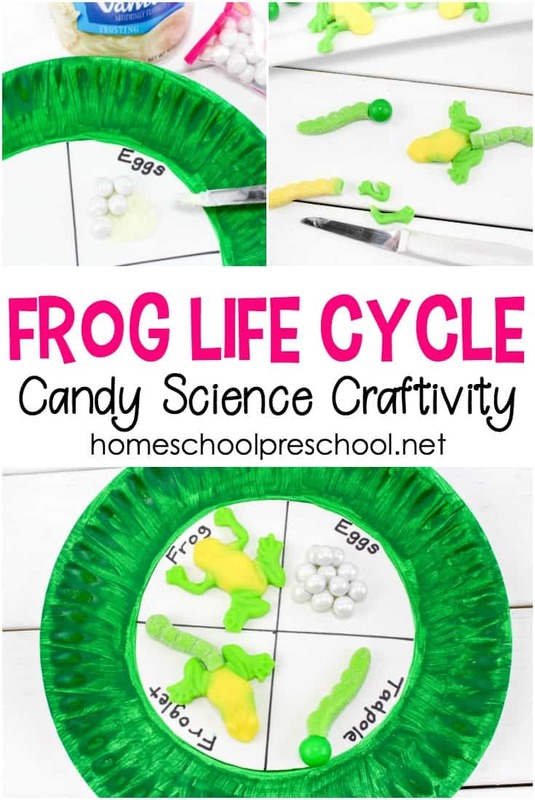 Easy science experiments for young learners! 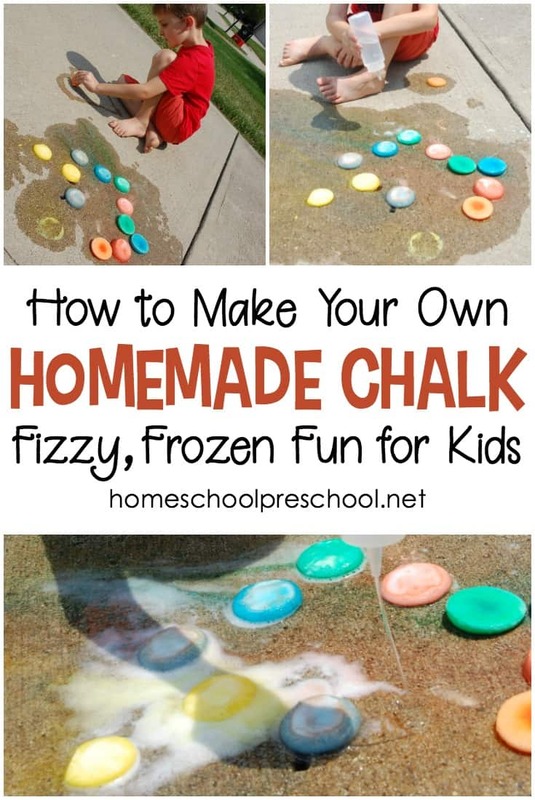 Preschool science doesn’t have to be intimidating or boring. Your goal at this age is to pique their interest in a broad range of topics – weather, insects, plants, etc. 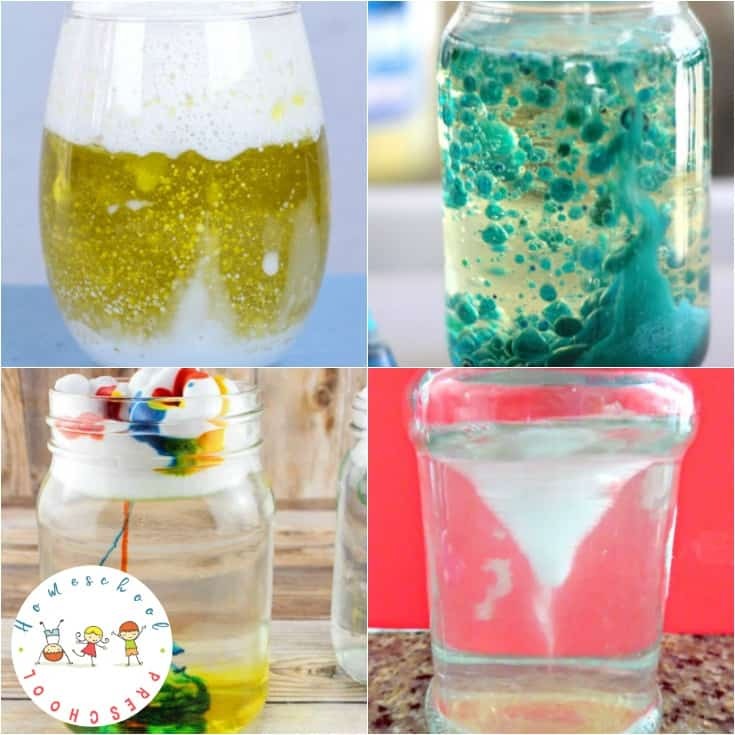 With a few items you likely already have on hand, you can turn an ordinary mason jar (or old jelly jar) into an engaging science experiment that will amaze your little ones. Making a rain cloud in a jar is a great way to explore weather with your preschoolers and young learners. They’ll see up close how clouds make rain. If you’re studying weather and clouds with your preschoolers, be sure to check out how to make a cloud in a jar. Homemade butter is a simple science experiment to do with your kids. Before eating the homemade butter, talk about how the cream turns from a liquid to a solid. This post shares directions for how you and your preschoolers can make 5 easy science discovery bottles to explore sinking and floating, bubbles, magnets, and more. Create your own ocean zones in a jar to explore habitats, sea animals, and deep sea creatures this summer. When you plant seeds in a jar, kids can see the entire life cycle up close and personal. With just a few items you probably already have in your pantry, you can show your kids the different parts of blood. Explore the difference between water, ice, and snow in this Melting Magic: Snow and Ice Science Experiment. For a quick and easy science experiment to do with your kids, try making a tornado in a jar with your kids. Baking soda and vinegar experiments are so much fun! Show your preschoolers what happens to rice when it’s placed in a jar of baking soda and vinegar in this Dancing Rice Science Experiment. 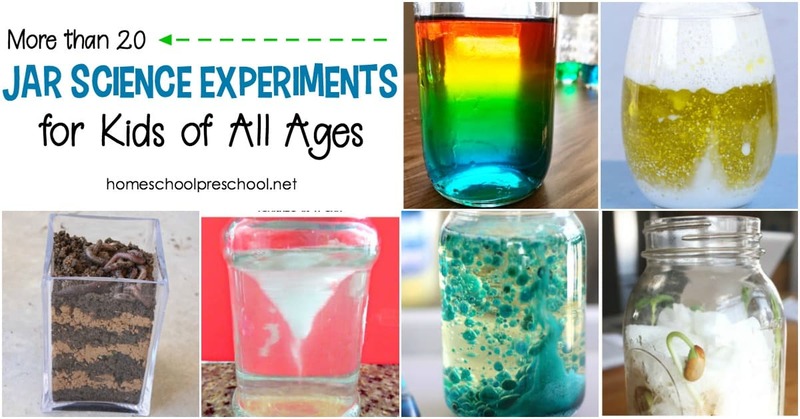 Learn about density when you create a rainbow in a jar with your preschoolers. 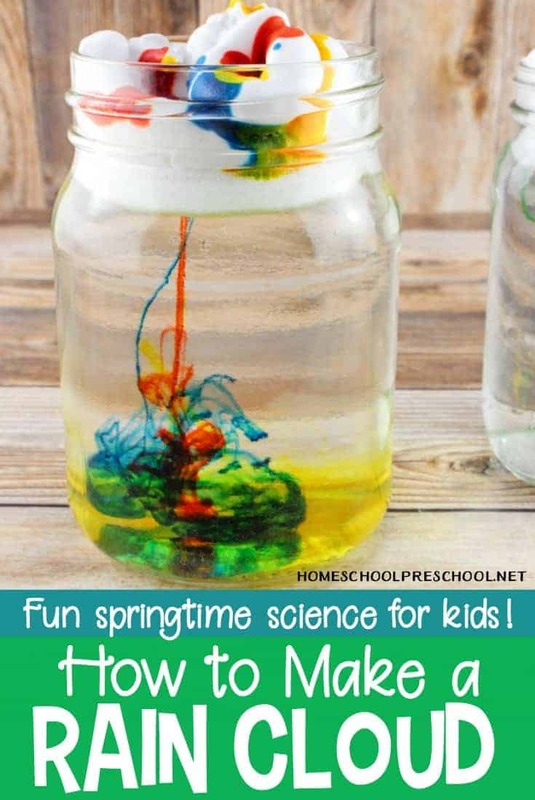 This science experiment is perfect for spring and summer. Preschoolers can learn about light refraction with this simple experiment. It’s quick and easy to set up with your kids, and they’ll get a kick out of this one. Kids can make their own lava lamp, and learn about density and chemical reactions as they do. Preschoolers will love playing outside with their homemade garden xylophones. Creating a worm observation jar allows kids to see first-hand what worms do for our earth. Your preschoolers will be amazed by the power of the sun when you create a set of mason jar solar lights. They’ll make great bedside lamps or laterns. With a few items you likely have on hand, your kids can simulate a winter snow storm in a jar. Make it in winter when it’s too cold to go outside or in summer when you’re dreaming of cooler weather. Use oil, water, and food coloring to make fireworks in a jar. No need to save this for the 4th of July. It’s fun any day of the year! Spend some time this summer helping your kids make a mini garden terrarium. I love candy science experiments! Save some Skittles from your next treat, and let your kids make a Skittles rainbow in a jar. Do you have a favorite science experiment in a jar that I haven’t shared here? Leave me a comment, and tell me about it.